Marie Curie is appealing for volunteers to help people with a terminal illness in Lancashire this Christmas, many of whom will be enjoying their last together with the people they love. By giving up just two hours to collect donations, fund-raisers will be helping the charity provide nursing care and emotional support to families. The money raised will also help to fund Marie Curie’s information and support team, which reached more than 60,000 people last Christmas and provides a life line to people affected by terminal illness across the whole of the UK. 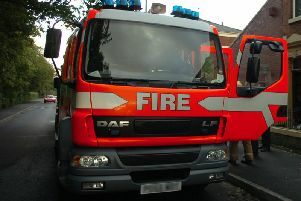 Across the Lancashire area there are many volunteer shifts available in supermarkets, shopping centres and high streets. Stephanie Potts, community fund-raiser for Lancashire, said: “Christmas is about creating memories and being together at a special time, with the people we love. “By signing up to volunteer with friends, family or colleagues for Marie Curie, you’ll be making a huge difference to people who could be spending their last Christmas together, or to those for whom this will be the first without their mum, dad, husband or wife. “In the build up to Christmas we desperately need the people of Lancashire to grab a friend or family member and collect donations for Marie Curie. “Our volunteers always have a fun and rewarding time collecting donations in their local communities and it’s the perfect way to give something back and get into the Christmas spirit. The money you raise will also be helping us reach more people with a terminal illness and the loved ones supporting them. Just two hours of your time, collecting at the local supermarket or on the high street, will make a massive difference to so many people. For more information on volunteer shifts in your area, visit http://www.mariecurie.org.uk/collect and sign up with a friend.